Scattered Scissors: What to do? I decided that I'm super at stall tactics. When I don't want to or haven't decided how to finish a project I started, I just start a new one. I think that's what little girl's dress is. It's a wonderful stall tactic. What I really should be doing is working on my etsy storefront. I filled it with what I already had made and now I'm stumped. I want to add more of a selection to my store but I'm not sure where to start. Do I branch out into other shapes for my pins? Do I add barrettes to the list? What about headbands and more bags? I just really don't know. 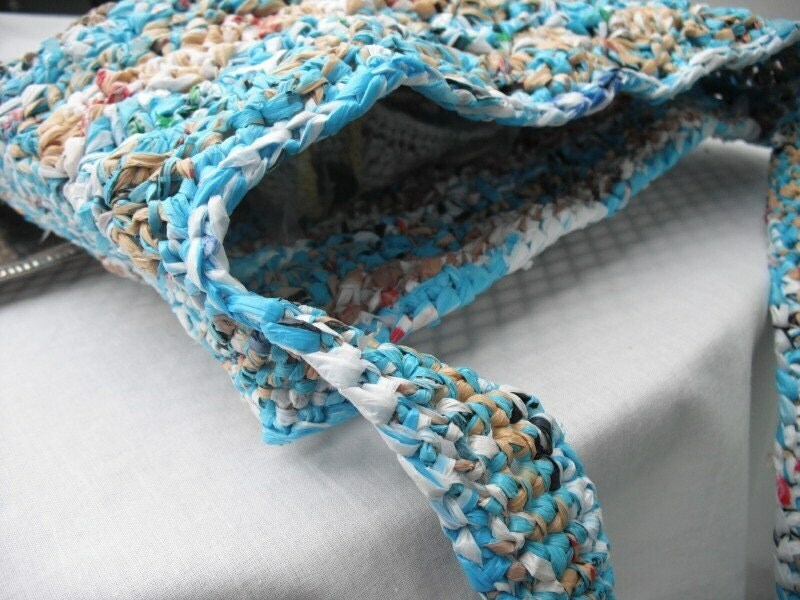 So far my plarn totebag is people's most viewed and favorite item. Favorite, yes, but still has not sold. I know crafts is a hard business. Mostly it lies in perceived value (thanks marketing minor) but how do you get over that hump? Do I really have to tell them it took me nearly 10 hours to crochet and assemble it? Do I tell them how I spiral cut all nearly 50+ ( I really did lose count) plastic bags before I even assembled it? I don't think I should have to, but who knows. I will get over this hump to better and brighter days, but for now I'm just in limbo. And I think that's why I can't move forward. There are so many directions I'm not sure which one to take. So, I guess for now I will just work on my little 'stall projects' until some shock of inspiration comes. I'm currently working on another bag with the same wave stitch as the totebag, some star shaped pins/barrettes, and little girl's 3 tiered dress. I guess that will have to be enough for now. At least now that spring is finally coming to the area I might be able to get some better photos of my new products. The last batch I shot turned up ugly. I deleted them all. Thank you digital age for saving me money of having to print out a DISASTER. Count those small blessings. Add them all up in whatever type of math you can manage and make the best of it. Hello from etsypreneur-ur new blog is nice and fresh. Thanks for sharing. Please join me on my blog where I feature etsy artists regularly and other fun art tidbits. Just leave a comment with ur shop link-simple!